In the development of the Macedonian economy, construction has a significant role. A number of other economic branches are dependent on construction as one of the pillars of the economy. The State Statistical Office conducts monthly, quarterly, semi-annual and annual surveys for monitoring the construction activities in the country and abroad; based on these surveys short-term indicators, news releases and publications are prepared that are widely used among the data users. The variables and definitions are harmonized with the definitions from EUROSTAT, and the short-term indicators are regularly transmitted to EUROSTAT. The classification of constructions and construction works is done according to the Nomenclature of Constructions and Construction Works, implemented in 1999, which is harmonized with the Classification of Types of Constructions - CC and with the Classification of Products by Activity - CPA, published by EUROSTAT. The scope of the construction activity is in accordance with the section F from the National Classification of Activity - NACE Rev.2. The monthly survey Grad 21 covers the largest business entities in the Republic of Macedonia from the construction sector, as well as the business entities that are not classified in the construction sector but are performing large-scale construction activities. This scope covers 90% of the total value of the completed construction activities in the country. The data obtained with this monthly survey are used for calculating the indices of completed and contracted construction works, according to the types of constructions. 2. The planning of future activities and structure of investments in the construction sector, both at country level and at level of the local self-government units. 3. Time of beginning and completing of all construction activities on the structure, i.e. duration of the construction activity. The data on issued building and technical permits are collected according to the types of the constructions (buildings, civil engineering structures, or reconstructions), value and location of the structure, type of the investor, number and surface area of the dwellings, and they are submitted by the authorities from the departments for urban planning in the local self-government units (municipalities). The semi-annual survey on prices of dwellings provides short-term indicators for the indices of the prices of dwellings for which construction activity is contracted by the business entities from the construction sector. The quarterly survey on performed construction activities abroad is used for obtaining data on completed construction activities abroad by business entities from the country. The annual surveys provide data on completed construction activities according to the types of constructions at the annual level, the number of finished dwellings and their surface area, the number of illegally built and the number of demolished constructions according to the data from the authorities from the departments for urban planning in the local self-government units (municipalities), the quantity and amount of the building materials spent by the business entities from the construction sector, etc. Construction is any separated, freestanding functional structure (subterranean, surface and hydro construction), whose purpose is determined in advance and is located in a specific area. Building construction comprises building of constructions which are mainly above the ground surface and that are built in height. This group includes all residential and business buildings, and all the buildings that are auxiliary to civil engineering and hydro construction works (terminal buildings, airport buildings, transformer stations, harbor terminals, silos etc.). Buildings, as a part of building construction, and according to the Nomenclature of types of constructions and construction works, are classified into residential and non-residential buildings. 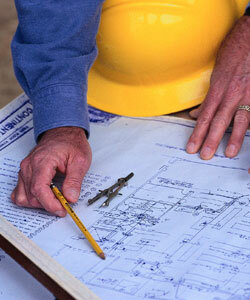 Civil engineering works comprises building of constructions that are mainly located on the surface or underground. This group includes constructions such as: roads, railways, bridges, tunnels, dams, dikes, land cultivation systems, drainage works etc.